In the latest earnings release, World of Warcraft is down to 7.7 Mio subscribers. This means a total loss of 600,000 subscribers from 8.3 Mio last quarter. WoW has definitely seen better days, as at one point they had over 12 million subscribers, and since then that number is rapidly dwindling. Activision Blizzard is purchasing 429 Mio shares from Vivendi for $5.8 billion. The purchase is financed with $1.2 billion of cash that was on hand and $4.6 billion of debt proceeds, leaving them with a $1.4 billion of net debt at the end of the deal in September 2013. With huge subscriber drops each quarter, it was not the best time to completely separate from Vivendi. The launch of an in-game store by Blizzard in 5.4 which is supposed to offer convenience items, such as the Elixir increasing XP in Asian regions. Transmog items added to the Blizzard Store. Earlier this month, helmets were added to the online store for $15 each. It's time to introduce another Annual Pass, if Blizzard wants to lose less subscribers next quarter. Things look grim for Blizzard. Despite the vastly improved game quality in Mists of Pandaria they still arent able to counter their subscriber drops as more and more players stop playing the game, growing tired of the same content. We know that Titan development was restarted from scratch, this means WoW will need to endure a bit longer. It’ll be interesting to see what happens to WoW’s subscriber rate once Blizzard implements in-game microtransactions. After all, it’s very possible that they could end up driving the subscriber numbers down faster, but at the same time if the people who stay start buying items in-game then it’s possible that those transactions could offset the loss of revenue from the subscribers. Only time will tell.Click read more for all the game details! Are you going to be any special events for this summer? The classic Guild Wars is taking a break from reminding us that it still exists and is quite fun too by throwing an encore of its Wintersday celebration. Wintersday in July began yesterday and will continue until July 31st. So what should you do if you want to know the latest news about guild wars 2?It's surprising how many people who play Guild Wars 2 know so little about some of the best websites for a game they play countless hours of. In this list, we provide you with ten of the best –There are of course more than this, the fact is we only give you an indicator as to what websites worth GW2 players collecting. Technically KTR (as it's more commonly known) covers much more than Guild Wars 2. Ravious however is a long time, staunch supporter of the game. Not only this, but he's a brilliant writer and his editorials are always topical and food for thought. A busy, bustling community that is first for Guild Wars 2 news while also being great for discussions. If that wasn't good enough, they're actually a friendly bunch who are quick to help and support one another. Should you ever need anything answering about the game, or if you simply want to waste several hours reading through excellent topics, look no further. An accurate and well presented event timer. With the ability to choose your server and overlay the graphics onto the game, it's a great support tool for farming events when you've achievements to complete or money to earn. Passionately run by Tilion in and out of game, it is a homage to the game at a truly fan level. With some excellent editorials, a busy forum and a ludicrously active twitter it's well worth visiting regularly. With a beautiful website, an excellent focus on lore and passionately run by Ollannach, GuildMag is regularly worth visiting. What makes GuildMag stand out however, is their e-magazine that anyone can freely download. It's well worth reading. Visually stunning, niche and lovingly written, Orrator.com is a breath of fresh air against the miriad of sites out in cyber space. Simple and elegant in it's delivery of content. I'm not sure Dulfy is a 'lone ranger' in the creation of all her content spanning multiple games, but it cannot be disputed that the guides produced are timely, accurate and most importantly, benefiting the communities they are aimed at. With an easily navigated website and optimal wording/image use, it's a great support network for anyone who doesn't want to spend time getting to grips with content. 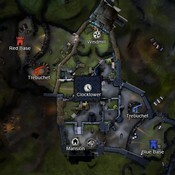 As the mandatory place to go when looking for a group (until ArenaNet implement their own), GW2lfg is ideal if you love to run dungeons or fractals. Although I prefer GoldWars2 (unfortunately it requires a subscription to use) as an accurate tracker of all things Trading Post, you really can't got wrong with spidy. Updated often, while remaining a corner stone of many wheeler and dealers, it really is a must for anyone wanting to flip their way to a profit. The Dragon Slayer Awards are 100% user nominated and user voted. They focus on community managers, community builders and, most importantly, the community members of gaming. World of Warcraft is among the Most Passionate Fan Base category, Several Blizzard Entertainment community managers have been nominated to the 2013 Dragon Slayer Awards. And the category for Community Managers of the Year contains: Netahera, Bashiok, Zarhym, Vaeflare, Rygarius, Daxxari, and Nakatoir. Notable Gaming Personality — Sha of Happiness is up there against Felicia Day, Wil Wheaton, HuskyStarcraft and Totalbiscuit. Voting runs from early July, 2013 through September 2nd, 2013.Click read more for all the online game details! Video Games Live have just announced over thirty more tour dates spanning several countries, including the United States, Mexico, China, Brazil, and more. They also promise “big surprises,” which should be exciting for anyone going to any of the shows. Do you want to hear your favorite game music performed live? Here's your chance! In a unique and special summer event, Pacific Symphony presents “Video Games Live,” a concert celebrating the exciting collaborations of music, art and interactive technology that make up the video game industry. For the first time ever, Video Games Live will be performing in sunny Orange County in the Verizon Wireless Amphitheater in Irvine, California—July 17. Special events surround the show, including a pre- and post-show festival. Guests will enjoy interactive game demos, prizes, a costume contest, game competitions and the very popular meet-and-greet with top game composers and designers. Why almost all the game players that are interested in Blizzard's latest trends? The reason maybe Blizzard Entertainment is the creators of Warcraft, Diablo, and StarCraft. Earlier they announced that they were going to be attending/exhibiting at the San Diego Comic-Con, if you're headed to the San Diego Comic Con this year, make sure to take time for Blizzard! The official blog has just posted the schedule of events for SDCC 2013. Blizzard will be located at booth #115 this year, and will have plenty of books for sale right along with the merchandise we saw previewed last week. Along with the Blizzard booth, the Funko Booth (#5343) will have the Shadow Illidan figure for sale, Sideshow (#1929) will have a fully painted Diablo statue on display as well as a first look at Deathwing, and Insight Editions (#1134) will be holding a daily random drawing to give away a copy of The Art of Blizzard, as well as showing off spreads from the upcoming Diablo: Book of Tyrael. Wei Wang and Glenn Rane will be signing copies of “Art of Blizzard,” which you can buy at the booth. The Art of Blizzard details some of the most iconic artwork Blizzard has produced over the years in this full-color compilation. Chris Metzen (Blizzard Entertainment SVP Story and Franchise Development) and a team of esteemed guests reveal never-before-seen licensed products and plans for 2013/2014. Talk to the designers, writers and artists as we dig into toys, novels, comics, statues, and more. Panel and extended game Q&A session moderated by Kat Hunter (host of BlizzCon coverage on DIRECTV). Come by the Blizzard booth to meet artists Justin Bechtold, Ginny Higerd, and Arun Naina, whose art is featured in the World of Warcraft Tribute fanart book, curated by UDON. Writer Mike Costa will be signing your World of Warcraft: Dark Riders comics at the Blizzard booth. Give us your best troll impression when you pick up your copy of this newly released book and have it signed by author Mike Stackpole. Ya, mon! Blizzard’s Micky Neilson and artist Sean Galloway join forces to sign their NY Times Bestselling original graphic novel, featuring the Pandarian adventures of Li Li Stormstout. Click read more for all the game details! Blizzard has just issued a proclamation declaring Blizzard Entertainment will participate in this year Gamescom, Gamescom is one of the world's biggest professional game trade show, Gamescom ,TGS, ChinaJoy, E3 are the four largest game show in the world . Blizzard Entertainment will be at gamescom 2013, the world’s biggest games convention, taking place August 21-25. Join us there for the latest news on our games, great entertainment, and fantastic competitions with great prizes! We’ll be at the Koelnmesse in Cologne, Germany to meet players from across Europe and the world and give everyone a chance to play our latest games. All kinds of entertainment will also be on offer to visitors to the Blizzard booth (B40 in Hall 7): show matches, live music, quizzes, competitions and much more. You can find out more about this incredible games show, including how to attend, here. Making a welcome return to gamescom will be our celebrated costume and dance contests. Always wanted to appear on stage as a witch doctor, a pandaren monk, or a Protoss Zealot? Or are you brave enough to show off your goblin, night elf or tauren dance moves? This is your big chance! In the coming days we’ll have signups ready so you can reserve your place in the contests, but for now you can already start stitching, welding and practicing. The last few weeks, Guild Wars 2 announced several new features - Custom Arenas and Spectator Mode, It may indicate that Guild Wars 2 towards the development of e-sports field. In order to check the interest of players in the Guild Wars 2 eSport matches, the Guild Wars 2 authority cooperates with ESL to host a Test Cup with a BO3 format of 5V5. The maps are Forest of Niflhel, Legacy of the Foefire, Battle of Khylo. Sign up: June 13 to June 30. ESL is short for Electronic Sports League. With the short name ESL, the Electronic Sports League is a famous European eSport organization.  Founded in 1997, it is now in charge of some well-known tournaments such as Go4 and IEM (Intel Extreme Masters). Click read more for all game the details!